Hello quilty peeps! March is just flying by, faster than usual and the birds are starting to come back for spring. I love those first signs that better weather is on the way and the freeze is over. I’m ready to get back outdoors for some much needed sunshine. 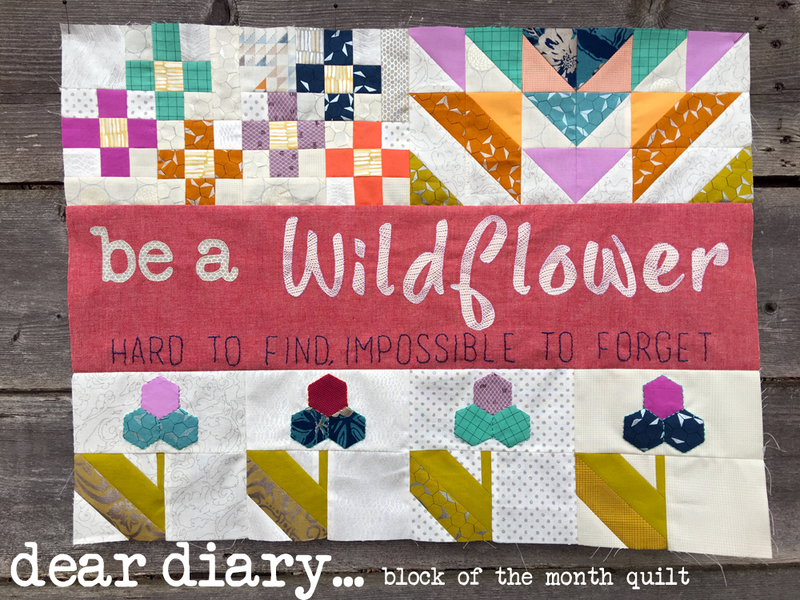 We are on Chapter 3 of the Dear Diary Quilt. If you’re just tuning in, you can find links to the previous chapters at the end of this post. If you’re a subscriber to the pattern, the email with the updated pattern went out on the 15th this month. If you have any trouble receiving the email please feel free to email me at rebeccamaedesigns@gmail.com. I love the saying for this months chapter. To me it represents embracing our unique qualities. We are all special, unique and wild individuals. 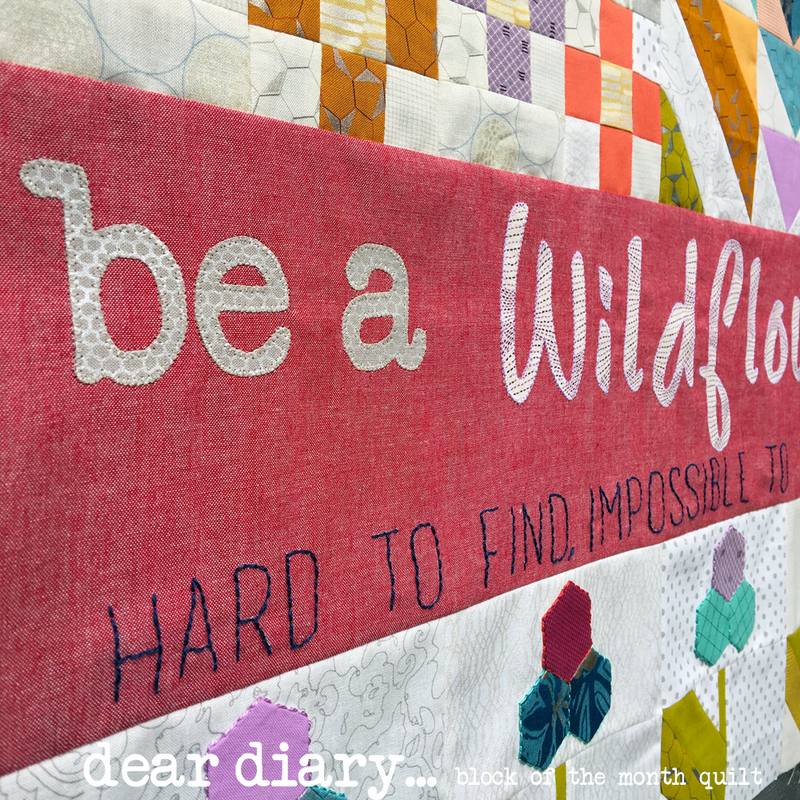 Be true to who you are, and leave an impression no matter how big or small is my dear diary entry for March. I also did a little back-stitching for part of the text…. 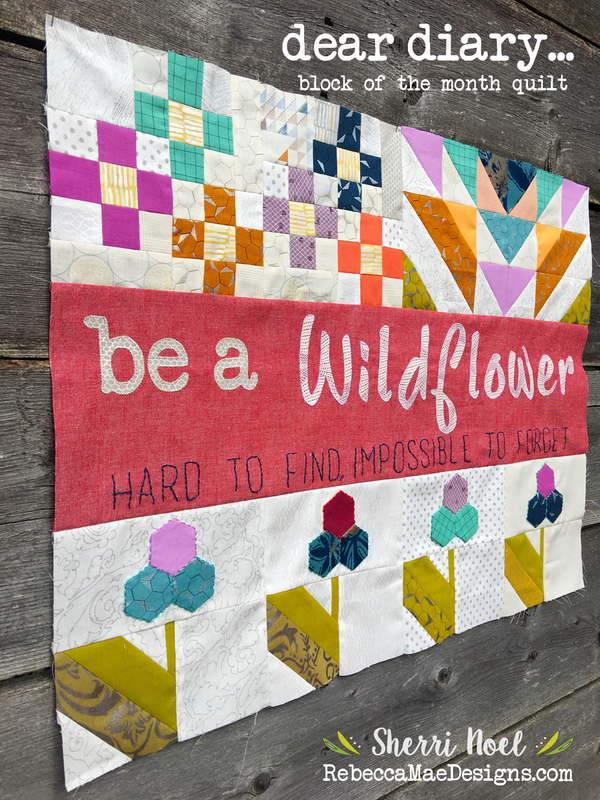 You can join in on this block of the month any time – find the pattern HERE in my Shop! 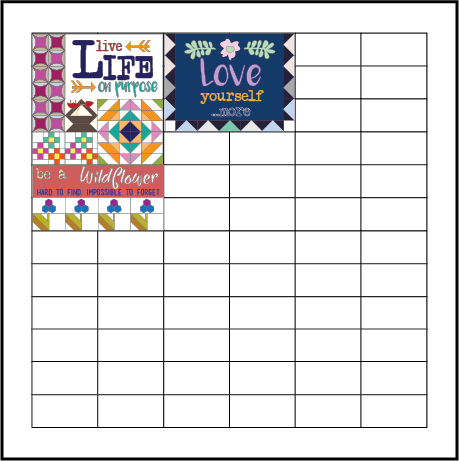 You’ll receive all the chapter patterns to date when you sign up. And here is a look at the first three chapters of the quilt top. ← Text It! Blog Hop Wrap-Up & Winners!